The torpedo gunboat HMS Niger is torpedoed in the English Channel. She later explodes and sinks though there are no casualties. British troops pass through the small village of Oulchy-le-Chateau in their advance on the Aisne. At 10:00 the 2nd Oxford & Bucks Light Infantry are turned out to back up the 1st Brigade which has been attacked while holding the ground a little to the north of the Ypres-Menin road. They are ordered to Westhoek to get in touch with the 1st Division, who are holding up reinforcements on the right. In spite of a barrage that lays shells about them, the Oxfords reach Westhoek without loss. Here they get under cover and observe the Northamptonshire Regiment advancing on their right, into the southern part of the wood lying to the south of Westhoek. At the same time Colonel Lushington of the Royal Artillery sends gunners, cooks, etc armed with rifles against the Germans in Nonne Bosschen Wood. Lieutenant Colonel Henry R Davies sends two companies to clear Nonne Bosschen Wood (Nun’s Wood) near Ypres, advancing from the northwest to southeast. They drive the Germans before them killing and capturing many. Two more companies follow in support. When the first two companies, ‘A’ and ‘B’ come out on the southeastern edge of the wood they are joined by the Northamptons on the right and by some Connaught Rangers and Sappers on the left. They force the Germans out of the trenches; some of the enemy turning and running when the attack is thirty or forty yards off, others surrender. Most of those who run are shot. Casualties to the Oxford & Bucks Light Infantry amount to twenty-seven, of whom five are killed. There is still another trench held by the Germans in front, but before an attack can be mounted on it French artillery begins to drop shrapnel into the British front line, not realizing how far it has advanced. It takes some time to inform the French of this error and by this time dark has set in. Near Becelaere, Belgium, Captain Walter Lorrain Brodie (Highland Light Infantry) leads a charge to evict the enemy from a portion of our trenches that they have succeeded in occupying. He bayonets several of the enemy himself and relieves a dangerous situation. As a result of his actions, 80 of the enemy are killed and 51 taken prisoner. 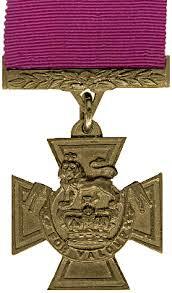 For his actions on this day he will be awarded the Victoria Cross. Brothers Privates James F and John William Stallard are among those killed in the Oxford and Bucks Light Infantry. John is a boxer of some repute in the Army and had gone into strict training for a bout at the National Sporting Club when the war broke out. Because of his prowess in the ring he was known as ‘The Mad Mullah’. He dies at age 26 while his older brother is 28. They are sons of James and Florence Stallard of St Mary Street, New Bradwell, Bucks. Another set of brothers are killed on this day while serving together. Private Thomas and James Freemantle (Scots Guards) have both served in the Guards prior to the war then joined the Surrey Constabulary together and both resigned to rejoin the Guards upon the outbreak of the war. The brothers are both 26. They are sons of William and Sarah Freemantle of Easton, Winchester. Brigadier General Norman Reginald McMahonDSO, General Officer Commanding 4th Battalion Royal Fusiliers attached 10th Infantry Brigade Headquarters, 3rd Division is killed in action at age 48. The General tries to rally support troops east of Hooge, on the south side of the Ypres-Menin Road when he is suddenly seen to sink to one knee and begins to remove his legging as though hit in the leg. At that moment a shell bursts close to him killing him instantly. He is the son of General ‘Sir’ Thomas W McMahon CB Baronet and he served in Burma from 1886 to 1887 and in the South African War. Major Alfred Herbert Tyler (Royal Engineers) is killed at age 43. He is the son of the late ‘Sir’ H W Tyler MP and grandson of General ‘Sir’ C W Pasley KCB. He served in Sierra Leone 1898-9 and in the South African War. His nephew was killed yesterday at the same place while also serving in the Royal Engineers. Major Harold Henry Norman (Temporarily commanding 1st Northamptonshire Regiment) is killed in the above action at age 47. He served in Tirah in 1897-8 and Zakka Khel in 1908. He is the son-in-law of the Reverend Henry Wood. Captain William Maynard Carlisle-Crowe (Warwickshire Regiment attached Northamptonshire Regiment) is killed at age 42. He is a Swiss Alpine skier and the son of General Thomas Caralisle-Crowe. Captain and Adjutant Ewen James Brodie (Cameron Highlanders) is killed when he is shot by a sniper at age 36 in the Nonne Bosch Wood. He is the son of J C J Brodie Lord Lieutenant of the County of Nairn. Captain James William Lennox Sprot (Black Watch) is killed at age 28 less than three weeks after his brother was killed serving in the Cameron Highlanders. Captain Arthur Edward Jeune Collins (Royal Engineers) is killed at age 29 while signaling for more men to protect the flank of his trench. Typically known by his initials A E J Collins is an English cricketer and soldier. He is most famous for achieving the highest-ever recorded score in cricket: as a 13-year-old schoolboy, he scored 628 not out over four afternoons in June 1899. Collins’ record-making innings drew a large crowd and increasing media interest; spectators at the Old Cliftonian match being played nearby were drawn away to watch a junior school house cricket match. One brother will be killed in August 1916 while his second brother will die of illness on service in February 1917. Captain Hugh James Shaw (Royal Fusiliers) is killed at age 28. His brother will be killed in November 1915. Captain Arthur Kenneth Puzey (London Regiment) is killed at age 34. His daughter will be born next year. Captain William Augustus Portman Foster(South Staffordshire Regiment) dies of wounds in a German hospital at Frankfort-on-Main of wounds received at Gheluvelt on 31 October at age 27. He is the son of ‘Sir’ William Yorke Foster the 3rd Baronet and Lady Foster. Second Lieutenant Thomas Symonds Holmes (West Surrey Regiment) is killed at age 22. He is the grandson of Admiral of the Fleet ‘Sir’ Thomas M Symonds GCB. Lance Corporal James Robert Newman (Royal Fusiliers) is killed at age 18. His brother was killed less than three weeks earlier. Private William Stoyan(Cameron Highlanders) is killed at age 32. He has two brothers who will be killed later in the Great War, one in 1916 the other in 1918. Lance Corporal Robert Brown(Royal Scots Fusiliers) is killed at age 25. His brother Peter Hume Brown will fall in November 1916. Private John Hamon Massy (Cameron Highlanders) is killed at age 35. His brother will be killed next month. Private George Etherington (Royal Fusiliers) is killed at age 28 less than two weeks after his brother was killed serving in the West Surrey Regiment. Rifleman Robert James Adair (Irish Rifles) is killed at age 24. His brother will die on service in March 1919. Gunner Sidney Herbert Toll (Royal Field Artillery) is killed at age 23. His brother died on service at home in the first week of the war. Private Edward Webster Wood (Scots Guards) is killed at age 34. He is the first of three brothers who are killed in the Great War. Turks forces attack the British camp at Sanniyeh with heavy loss and are forced to withdraw four miles. Major Richard Ducat (Infantry Indian Infantry) dies of wounds at age 43. He is the son of Major General Claude Malet Ducat and grandson of Hugh Hamersley JP. He was member of the force that fought on the North West Frontier of India in 1897-8. Vice Admiral ‘Sir’ Doveton Sturdee departs Devonport his flag on HMS Invincible in company with HMS Inflexible on a voyage to the South Atlantic to search for the German squadron under Vice Admiral Graf Maximillan von Spee. At the same time HMS Princess Royal is dispatched to the Caribbean to guard the Panama Canal. At a matinee at the Empire Theater John George Lambton 3rd Earl of Durham whose brother was killed on the Western Front less than two weeks earlier states the opinion that he would “wish that the Germans would drop a shell among these footballers some Saturday afternoon. I really think it would be the best method of waking up the young men of Sunderland”. In two weeks 16 members of The Hearts of Midlothan join the 16th Royal Scots becoming the only team in the history of British football to enlist en masse in the armed force. Seven members of the first team will lose their lives in the Great War.